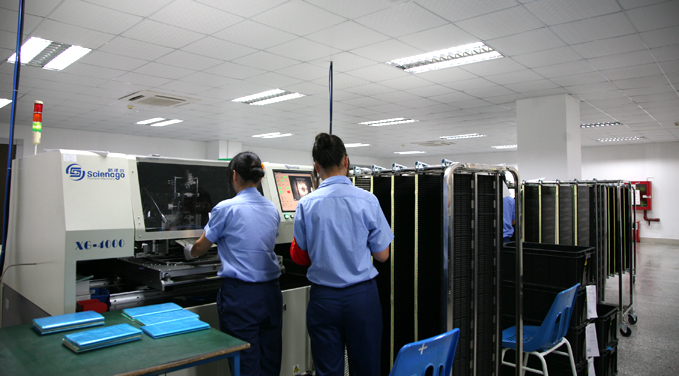 In order to reduce production costs and enhance competition, the Board Production Department of the Company recently introduced an automatic insertion line where 7 automatic inserters are used, not only to change the traditional manual insertion mode, but also greatly improve the productive efficiency and further enhance the product quality. The monthly output of Board Production Department is 400,000 pcs now, which is expected to peak at about 700,000 after the automatic inserters enter regular operation. 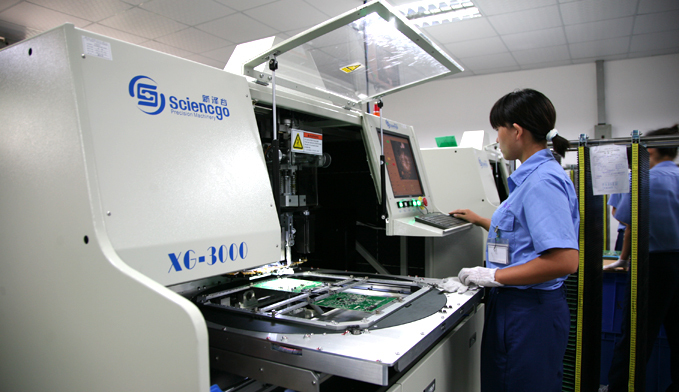 Since the automatic inserters are introduced, the manufacture process of semi-finished products has been changed from the original “SMT - Insertion - Wave Soldering” to the “SMT - Auto Insertion - Manual Insertion - Wave Soldering”, greatly increasing the production efficiency of semi-finished plug-in as well as the product quality. According to the plan, with support from the research and development department, more than half of the plug-in components can be inserted by the automatic inserter, which effectively solves such problems as unstable employees, strong labor intensity and higher possibility of making mistakes. Meanwhile, the pin length and bending direction of automatic plug-in components are relatively standard, which can greatly improve the welding quality and also help increase the acceptance rate of semi-finished goods a lot. In recent years, the Company has been seeking solutions for automatic production. After introducion of SMT machines, the introduction of automatic inserter further improve the automation level of company and makes its contribution to the development of company.